Monday February 12th – First Communion programme meeting, 6pm in the hall. Friday February 16th – Lent lunches begin after 11.45am Mass. All proceeds to Cafod. Saturday February 17th – Lent Retreat Day at St Paul’s Convent, Selly Park, Birmingham, 19am to 4pm. See Father Gerry for details. 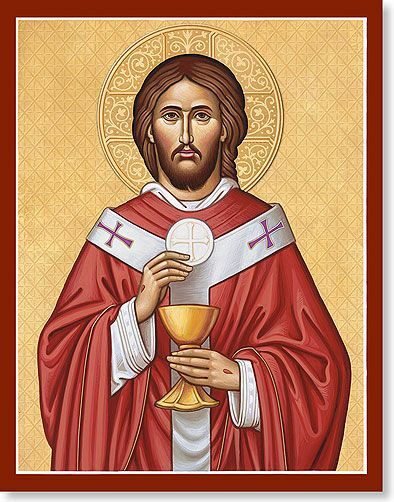 Join us for the Feast of the Most Holy Body and Blood of Christ. St Bede the Venerable. It is his Feast Day on Thursday. Tuesday May 23rd – Liturgy of the Word and Holy Communion at 9.30am. Monday May 22nd – Monday Club meets, 2pm in the hall. All welcome. Tuesday May 23rd – General Election hustings at St Andrew’s Church, Rugby, 7.30pm. Read the Catholic Bishops’ statement on the General Election. Monday June 5th – First Holy Communion group, Upper Room, 6pm to 7pm. June 9th – 11th – Marriage help residential weekend. More details. You are welcome to join us for the Easter services at Sacred Heart. These are the services, with dates and times, together with details of what we will be singing. Veneration of the Cross: This is the wood of the cross, followed by O My People, what have I done to you? followed by My Servant Shall Prosper. Response during the reading: Evening came and morning came, the first day, and God saw that it was good, and God saw that it was good. Saturday December 19th – Music practice for Christmas, 10am in the church. Tuesday December 15th – Breaking the Word, Gospel reflection, in the hall at 2pm. Wednesday December 16th – Funeral service for Rose Fisher, in the church at 12.30pm. Thursday December 17th – Service of Reconciliation at St Marie’s Church, Rugby at 7pm. The statue of Mary at Sacred Heart Church. Monday December 7th – Monday Club for Senior Parishioners, 2pm in the hall (last meeting until February). Wednesday December 9th – Rugby Association of Our Lady of Walsingham meets at St Marie’s Church at 7.30pm. Saturday December 12th – Choir practice for Christmas, 11am in the church. Saturday December 19th – Choir and musicians’ practice for Christmas, 10am in the hall. Monday November 30th – Monday Club for Senior Parishioners, 2pm in the hall.